Jane Miller | The PHOENIX On Feb. 8, Damen Dining Hall celebrated Black History Month with what some students called stereotypical black food options. It was meant to be a celebration of African American culture in honor of Black History Month. But a display in one of Loyola’s dining halls sparked anger among many students who saw it as stereotypical and insensitive. On the menu in Damen Dining Hall: fried chicken, maple mashed sweet potatoes, collard greens and “black eye peas salad” was served. Grape-flavored Kool-Aid was offered early in the night, but was later replaced with water and its sign hidden from diners. The sign explaining the food offered Thursday night read: “Black History Month: Try our African American cuisine popular in the African American community.” Around the food options, signs highlighted African American inventors such as George Crum, the 19th century founder of the potato chip, who was depicted above the french fries. The controversial display was short-lived. After student backlash, Dine Loyola, owned by food service giant Aramark, released a statement on its Facebook page Friday afternoon apologizing for the display. “One of our core values is integrity and respect always,” the statement began. A spokesperson for Aramark declined to identify the employee who set up the display, but did confirm the employee is African American and didn’t mean to offend students with what was intended to be a celebration of his or her culture. Sophomore Sarim Zaman said while he understood why a black employee might have wanted to put on such a display, he also understood why so many were offended. Sophomore Amer Karahmet agreed. He said he felt Aramark should’ve been more cautious. Other student responses to the initiative were mixed, with some calling the tribute to Black History Month irreverent. “I think it’s disrespectful on a level because they pulled out the stereotypical meals, but it could have been worse,” Karrington Jones, a black student studying Health Systems Management, said. Jones, 19, added the initiative could’ve been executed better with an event highlighting special recipes typical of the black community rather than as a normal dinner offering in the dining hall. But Keion Humphrey, a black student studying political science, said he didn’t find the food offensive. Robin Branton, president of BCC, said the Kool-Aid was the food offering that she found to be most distasteful. “[The dining service is] basically advertising black poverty. People drink Kool-Aid because it is 10 cents and all it requires is water and sugar,” the sophomore studying biology said. While the three agreed that Damen Dining’s desire to acknowledge Black History Month is positive, they said it was an issue the black student body opinion wasn’t asked for prior to the event. Dillard said the university didn’t reach out to African American student groups when it planned Black History Month displays, adding that it isn’t the first time Loyola hasn’t connected with its black students. Dillard noted Loyola’s failure to consistently include BCC in the recent planning of Martin Luther King Jr. events was one such example. “We continually find ourselves picking up the slack for a lot of different departments that forget about students of color,” Dillard said. Aramark stated it’s reviewing its operations and will undergo a retraining process for all staff at Loyola on Aramark-approved promotional activities. “Aramark takes diversity and inclusion very seriously,” the statement said, adding this was an “isolated accident” and that it would not happen again. 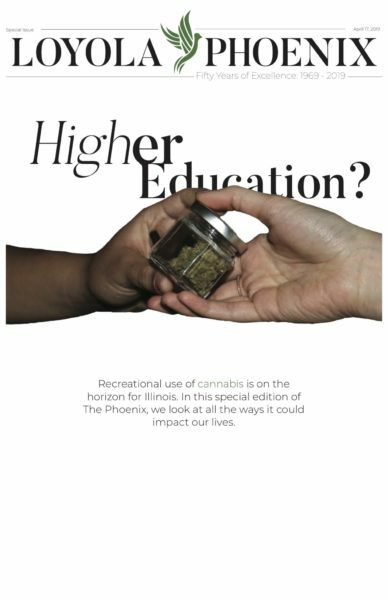 Loyola’s university marketing team also sent a statement to The Phoenix Friday in response to the incident. 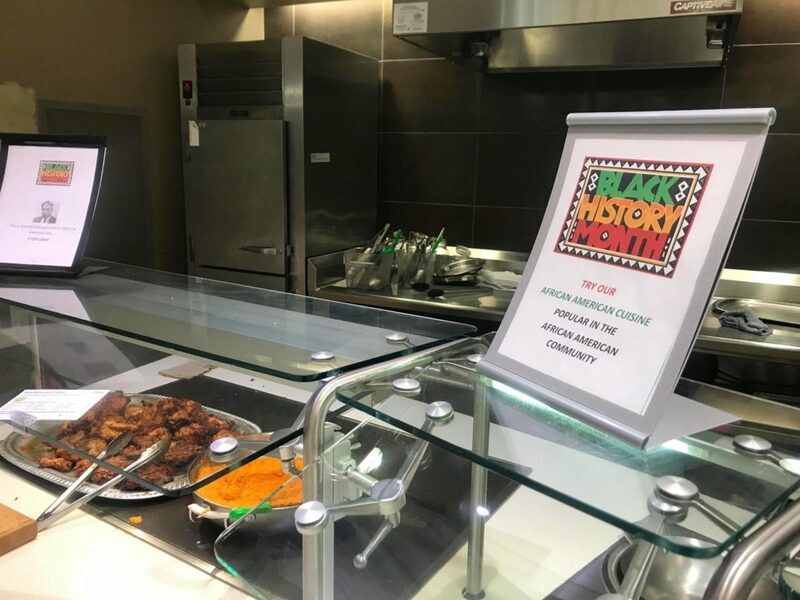 “Recently, our food service vendor, Aramark, offered a menu in Damen Dining meant to celebrate Black History Month, which was interpreted as promoting stereotypes of the African American community,” the statement said. Loyola also noted Aramark has apologized for the menu selection offered. The signage, deemed “insensitive and inappropriate,” was said to be a mistake of one Aramark employee and the issue is being handled, the statement said. “Loyola has the utmost commitment to diversity and inclusion,” the statement said, adding that it’s working with Aramark to ensure that the issue doesn’t happen again and students with concerns can reach out to the Dean of Students. Correction: The headline of the print version of this story mistakenly said Loyola apologized for the Black History Month food. It has been changed to instead say Aramark apologized. Thank you for another magnificent article. Where else could anyone get that type of information in such an ideal way of writing? I’ve a presentation next week, and I am on the look for such information.